This article offers an example on how to create a report using variables. Enter Europe as Fallback Value; this value will be used if a mapping is not possible. Then select Regions in the Demo database and click Apply Mapping. Next, create the folder Years as a subfolder of Regions. Set the variable mapping to OLAP List and from the List Selector, click on the Demo database and select Years. Enter All Years in the Fallback value field and click Apply Mapping. For the following steps we have to detach this view to replace the PALO.ENAME functions with the corresponding PALO.ESELECT functions. To detach a view, go to Query > Detach View. 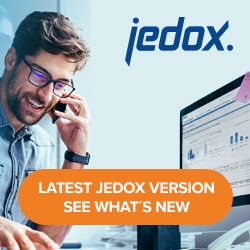 Note: variables used in Jedox views are always defined by =@[Name]. Save and close this file. Now switch back to the Reports module and click on the Files tab. Drag Units Hardware over to the Years folder in the Navigation pane and click on this report. For the Regions variable, double click on any of the fields in the Regions row to open the drop-down menus. Under the column List Type, select Report List from the menu; under the column List/Dynamic Folder, select Regions(/). Click Apply to confirm the changes. For the Years variable, double click on any of the fields in the Regions row to open the drop-down menus. Under the column List Type, select Report List from the menu; under the column List/Dynamic Folder, select Years (/Regions). Click Apply to confirm the changes. Instead of an entire dimension (e.g. Regions above), you can also select a Jedox subset list for variable mapping. Then the resulting dynamic folders are all displayed on the same level, not indented on the basis of their hierarchical levels. If you select the list type OLAP List, then the variables come directly from the list (parent folders should have no mapping). In this case, it is possible to determine whether the variables in Reports are displayed or not. This display is typically not needed if the variables are mapped for batch printing purposes. By deactivating Expand, the variables are not displayed in Reports, but they are still available for batch processing. This gives you a better overview and saves a lot of computation time.